Toni Schindler, marketing and communications director for the Fulton County Commissioners, gave a report Tuesday at their bi-weekly meeting. Fulton County Commissioners on Tuesday reviewed an Ohio Environmental Protection Agency concern at the county landfill, and heard a report from their marketing and communications director. While conducting old business during the regular meeting, the commissioners mentioned a letter the OEPA sent Fulton County Public Utilities Director Ziad Musallam regarding a visible leachate outbreak at the county landfill. Leachate is liquid that picks up soluble or suspended solids or other elements from material it passes through. The outbreak was detected during a Feb. 28 inspection of the landfill. The letter, from an OEPA water quality engineer, suggested the county must continue hauling leachate to eliminate outbreaks. Musallam replied with a letter explaining that the outbreak, discovered at “marker 9” at the landfill, was held and contained by a dike at the location at all times. “(N)o leachate outbreaks have reached the waters of the state,” the letter concluded. 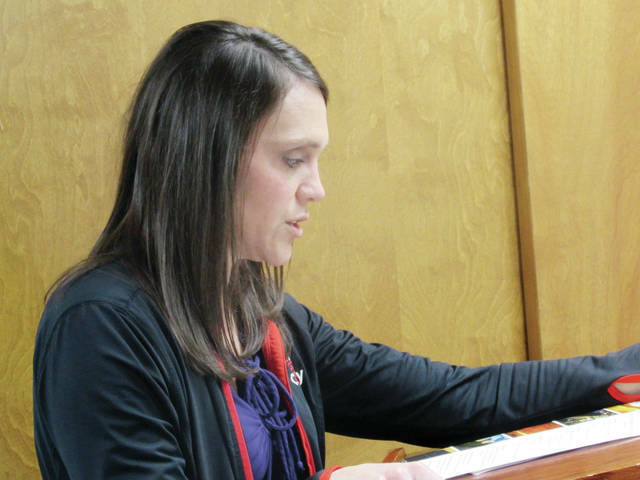 In her report as the commissioners’ marketing/communications director, Toni Schindler said she attended a meeting concerning the June 15 Breakfast on the Farm event in Fayette. It will be held at Henricks and Krieger Dairy at 14692 County Road 16-3. Schindler also reported the county Clerk of Courts office, located at 152 S. Fulton St. in Wauseon, will be closed April 18 to accommodate staff training. She said a blog she created on the county website about the year-long courthouse renovations has received numerous views, both on the website and on social media and Facebook. “That has been a really, really well-received piece of information we put out there, and the community seems to really enjoy that,” she said. Schindler has also been working with Kelly Carey, assistant director of the Fulton County Economic Development Corporation, on the #Fulton Forward social media campaign launched a couple of weeks ago. #Fulton Forward is designed to let community members share good experiences within the county in a public format on Twitter or on the county or FCEDC Facebook pages. Her report mentioned Fulton County Rising, a campaign by the Fulton County Health Department’s Healthy Choices Caring Communities (HC3) Coalition. A Fulton County Rising Day will be held in May. “That should be a really nice day to promote having positive conversations and important conversations with your youth about anything, but mainly about the risks of substance abuse and risky behavior,” Schindler said. She said government tours will be conducted for various county school students through mid-May, and the county’s Job and Family Services office will hold a Family Fun Day on May 11. • A retainage payment to Quinn Construction for the Murbach Street sidewalk improvement project in Archbold. • Awarding a bid for the resurfacing of various county-owned parking lots. • A personnel request on behalf of Job and Family Services. Reach David J. Coehrs at 419-330-1812.